Today I would like to talk about the Crimea. 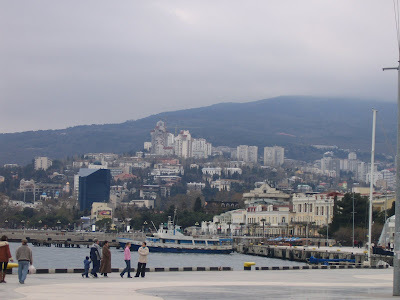 My wife (Svet) and I went to Yalta located in the Crimea for a vacation. She had told me that it was beautiful. Svet is from Russia and Crimea was part of Russia at one time. The area is full of sanitariums (rest and relaxation hotels) from the Soviet era. She had been there several times. But what she told me did not prepare me for the real beauty. I was stunned!! The country was the most beautiful and stunning country that I have ever seen. I was mouth hanging open, dumb founded, and stuttering over what I saw. Near Yalta we stayed at the Yalta Hotel, a hotel built in Soviet times. I want to go on record as saying, I LOVED THIS HOTEL! It cost 50 American Dollars a night, I felt like a King. The staff was wonderful, the eating establishments, top notch! The rooms clean and well kept. They say it was better during the Soviet era, I would love to have seen it then!! The pictures, 1. 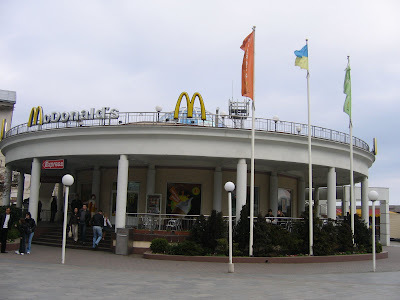 McDonald’s in Yalta, 2. Yalta, 3. 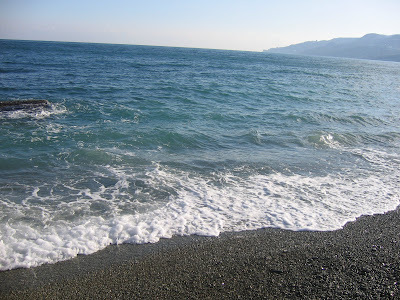 The Black Sea, 4. The Sea and its pebble beach, 5. 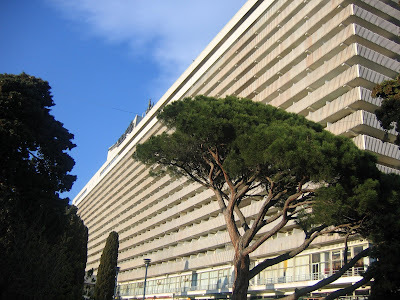 The Hotel Yalta. 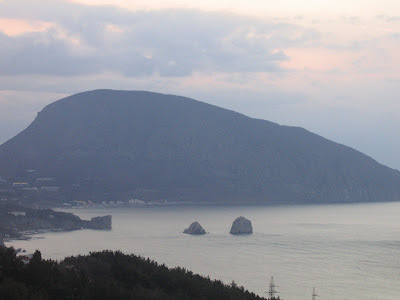 So this was just one part of Crimea, I have my favorite part of Crimea to talk about. That’s another day!! A hint: The Mountains!